Flavored butters always just brighten up my day when I see them on a table with the breads. There's just something fun about them. It's probably that essentially there are no limitations - you can flavor the butter with pretty much whatever you want! 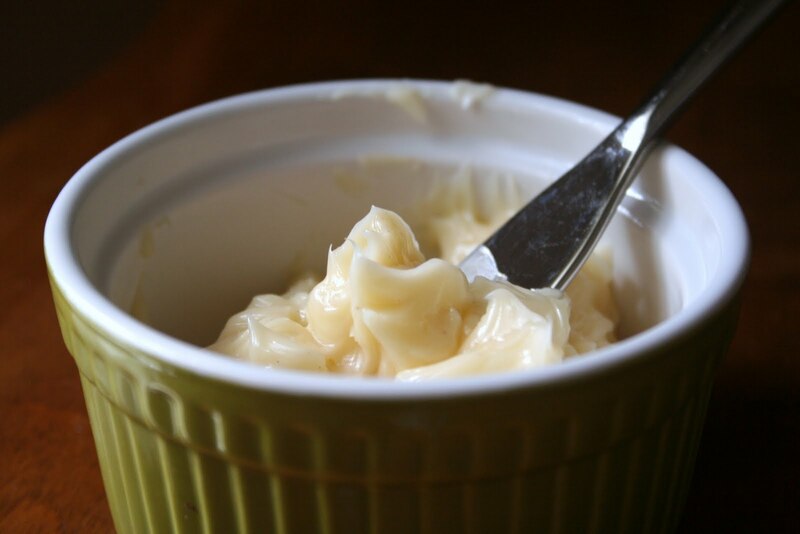 The best thing about flavored butters - they're easy to do at home! Really, the concept is so simple that you don't need too much of a recipe. You just take softened butter, flavoring of your choice and mix it together. Voila! My favorite flavored butter is definitely honey butter, which goes great with so many things, such as cornbread, bagels, quick breads, etc. Mix together all ingredients using an electric mixer, or in a medium bowl with a sturdy spoon. Place in rammekins for serving, or spoon on parchment paper and roll to refrigerate for a few hours before serving. This sounds so good! I'm not a huge butter fan, but I can't seem to pass up honey butter when it's around! Considering I am Danish, this is right up my alley! Thanks for sharing.